The Junkers Jumo 222 first ran in 1939 and was a very unusual star design, it had six banks of cylinders in a radial pattern at a relative angle of 60° to each other. 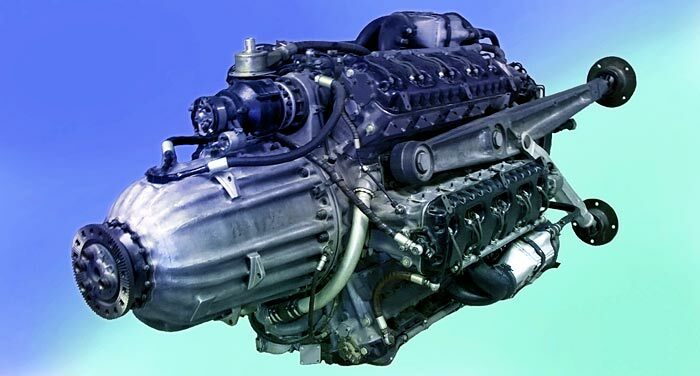 This high performance compact water cooled engine never reached a true production level with only 289 engines being produced. War time constraints made it necessary to continue to produce older, simpler designs. The engine pictured here is a Junkers Jumo 222e which was produced in 1944. As the "Bomber B" program, which had been intended to create second-generation high-speed bomber designs to replace all medium and heavy bombers in service with the Luftwaffe, relied totally on the Junkers Jumo 222, all the new bomber designs were scraped at the same time as the engine. This picture of a Junkers Jumo 222 is Copyright © June 2014 Siteseen Ltd. We only authorise non-commercial picture use and particularly encourage their use for educational purposes. This Junkers Jumo 222 picture is not in the Public Domain. 3) Use of this Junkers Jumo 222 picture, or any of our pictures on websites re-distributing copyright free material is strictly prohibited.